Corporate marketing videos are a powerful investment and can be a key part of your lead-generation strategy for your company. 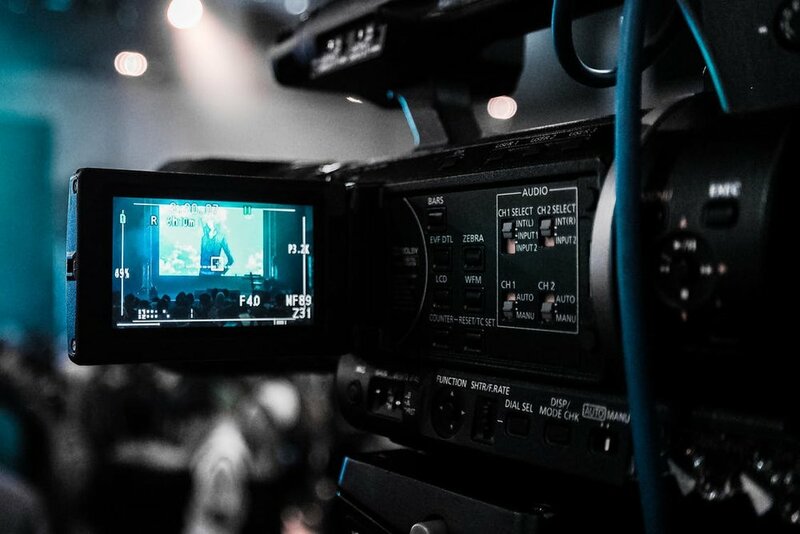 With the experience Whitney Media Productions has with creating corporate videos for Orlando businesses, we know what it takes to create an impactful and high-converting video. While it’s important to create a video with dynamic visuals, what’s more important is to have a video with a strong message. The goal of a marketing video is to generate leads. Here are 4 guidelines we use when creating impactful marketing videos for our Orlando clients. Although this video is technically about your company, remember who it is you are speaking to: your target audience. You want each viewer to feel that this video and its message was specifically designed for them. One of the keys to a high-converting corporate marketing video is to make an emotional connection with the viewer because part of their decision to work with or buy from your company comes from the heart. The other key to a high-converting corporate marketing video is to speak to their pain, needs, and wants. When we work with our Orlando clients, we get clear on three things: what their ultimate goal is, who their target audience is, and what pains, needs, and wants we need to address in the video in order to make a strong connection with them. Begin your video production process by defining exactly who it is you are speaking to. Remember: your ideal customer is not “everybody”. If your message is broad enough to be relevant to everybody, your message will be bland and not impactful. If your message is tailored to a specific demographic and their unique needs and pain points, your video is much more likely to convert viewers into leads. Storytelling in video is powerful and a very necessary tool in making a strong connection with the viewers. A corporate marketing video is not necessarily the time to go down a list of facts and information without any entertainment or structure. A video without a story is boring and will lose the viewers’ attention. That equates to the antithesis of a marketing video! Your company marketing video should capture the viewer’s attention from the very beginning and hold it until the very end so they see the call-to-action and feel compelled to take action. How this is done is by crafting your video content by the way of storytelling. The first thing we do is identify what the ultimate objective of the corporate marketing video is. What is the result we want every time someone views the video? From there, we are able to further define what exactly needs to be shown and spoken to in the video in order to achieve the result. A corporate marketing video needs to be aligned perfectly with the company’s brand. It speaks to your integrity as well as your position as a leader in the marketplace. Brand awareness is how familiar your target market is with your company’s brand. When your target market sees the same values, message, and visuals every time they experience your brand, they become more familiar with your company. When they are more familiar with your company, they are able to recognize you more quickly and remember you when they later need your products and/or services. With recognition comes trust. When your brand is consistent every time your target market comes in contact with it, trust is established and constantly renewed. Your target market learns what to expect from you and knows it can depend on you to deliver the same experience again and again. Marketing videos are an excellent opportunity to become recognizable, build trust, and maintain brand integrity with your target market. You are creating it with a purpose: to move the viewers to take action. The action is usually one that turns them into a lead. Never assume that they will know what to do once the video is over. Spell it out for them by explicitly telling them to take action. Video call-to-action examples include inviting them to try your product out for free or to call for a free consultation. Make sure your call-to-action is specific and relevant. Rather than simply stating your phone number and asking them to call you, tell them what to call you about. Ultimately, our job in producing a video is to prove the value of your product or service. When we show that productivity can increase or a partnership with a company can be a true benefit, we are, in essence, building not only an emotional connection or argument for that product or service, but we are also showing how a company’s bottom line can be improved. That’s the power of corporate video marketing. We work with our customers to not only shoot the video, but also create a strategy to make a video that speaks specifically to your target demographic and entices viewers to take action. If you are a business in the greater Orlando area ready to create a powerful marketing video with high-conversion rates, call us at 407-489-4168 or fill out our contact form here. We promise to respond within 24 hours.